Celebrate the holidays in style at Desert Willow Golf Resort. Savor the spirit of the season in our spectacular clubhouse trimmed for the Holidays, while drinking in some of the most stunning views in the entire Coachella Valley. 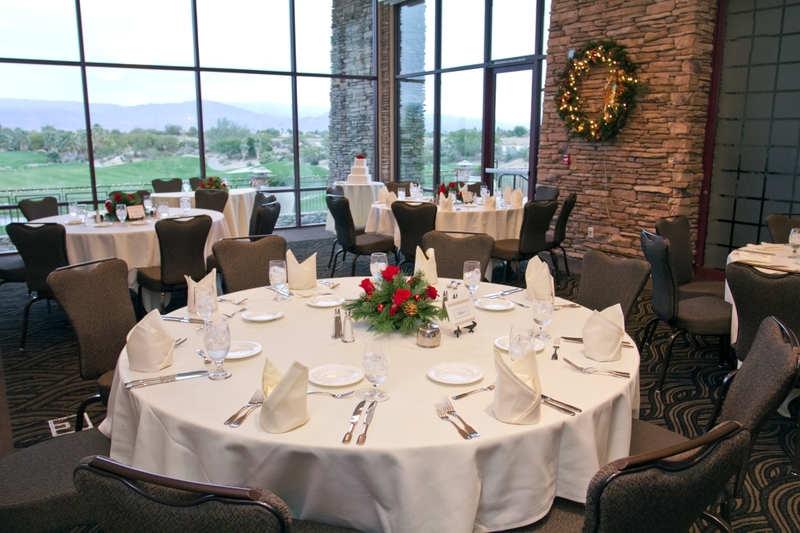 Book your holiday event at Desert Willow Golf Resort, our expert staff will make your holiday planning merry and bright. *Valid Sunday through Friday. All food and beverage charges are subject to 22% service fee and 8% sales tax. Book Your Holiday Event Today and Pick Your Perks! For more information please contact the Catering Department at (760) 346-7060 Ext. 103.